I wish that I could say that life is totally back to normal but Baby Boy and I are just now heading back home from our hurrication! Fortunately, we are going to back to a home that was not damaged and we have power. Time to help those not as lucky. Time, also, to get back in the kitchen and fix some wonderful meals thanks to Weekly Meal Plan #37. After a week of eating out, at some incredible places, it will be fun to cook and bake, and comfort food is on tap! 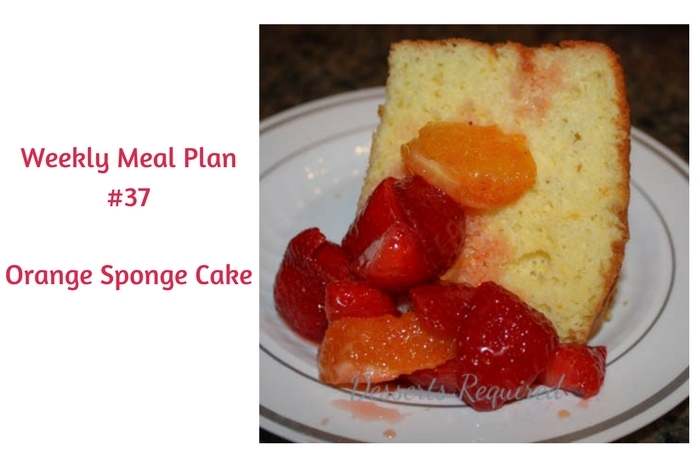 Dessert this week is a delicious Orange Sponge Cake. It’s a perfect blend of citrus and sweet. 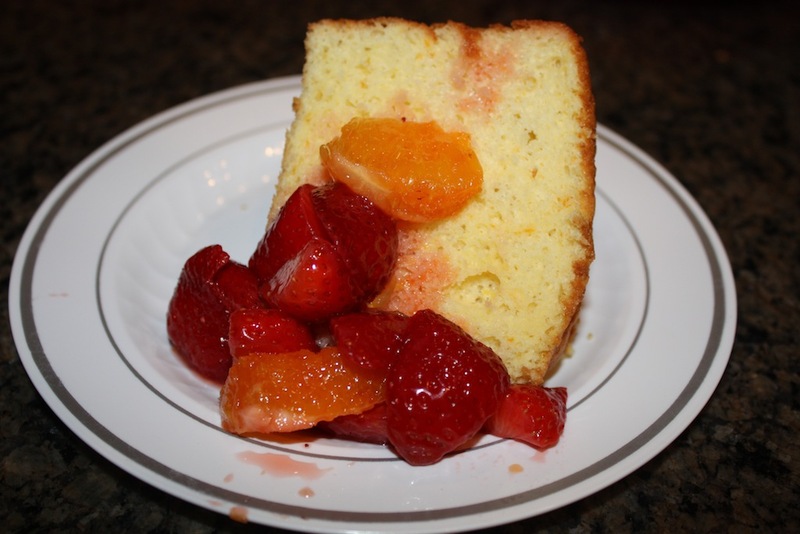 I love serving it with a fruit topping of oranges, strawberries, Grand Marnier and confectioners sugar. If you don’t have time to make it, no worries, your cake will still be fabulous. All good mornings start with breakfast, so why not start the mornings with these quick and easy breakfast burritos? You can even make them ahead of time for those busy mornings. Start the week off with this Southwest Salad with Jalapeno Ranch Greek Yogurt Dressing from The Shirley Journey. A new reason to look forward to Monday! Ready for a weekend already? Put your slow cooker to work today with these juicy and cheesy Slow Cooker Unsloppy Joes from My Fearless Kitchen. Make it quick! This Bacon Spinach Rigatoni from Organized Island is not only tasty, it is super quick to make too! Chicken Pot Pie Anyone? This Chicken Pot Pie from Kimmi’s Dairyland will have your family asking for seconds! Fresh jalapenos nestled in creamy layers of cheese make this Instant Pot Mac and Cheese with Roasted Poblanos from The Crumby Kitchen one to make again and again. We always have room for dessert and this Orange Sponge Cake from Desserts Required will have you celebrating any day of the week!